With multiple sources of data and information available across the entire supply chain, 3PL businesses and providers are continuously trying to make sense of it. From CXOs to sales managers and finance VPs, the ability to leverage Big Data has become paramount. However, before any sort of analytics can be undertaken, the data (both structured and unstructured) needs to be organised and put into context. For 3PL providers, this has become critical as clear and appropriate analytics can greatly impact their entire business operations. For an industry that relies heavily on processes, efficiencies, and timeliness, even the slightest disruption can have significant consequences. 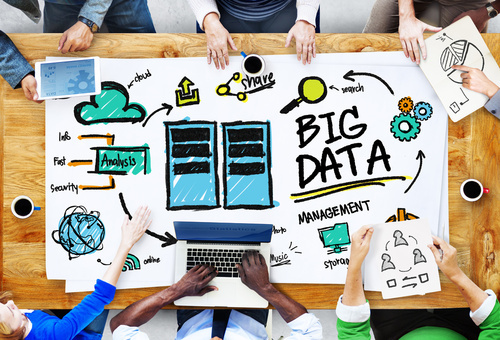 This is where Big Data can play a major role in helping to overcome bottlenecks and obstacles. As has also been said, “Big Data allows those within the supply chain to identify and correct inefficiencies, run “what-if” scenarios, and improve the way they respond to disruptions, and mitigate risk.” These actions and scenarios can help streamline processes and ease internal systems and operations. They can also help to build partnerships, whereby companies seeking to work with 3PLs may do so by assessing their Big Data and Analytics capabilities as one of the deciding factors. Thus, 3PLs that are more engaged with and have greater ability to leverage the tools and technology – to ensure better business outcomes – may be more suitably placed to collaborate with such businesses. For external, customer-facing outputs, the use of Big Data and Analytics by 3PLs can play a significant role during the last mile of delivery. As this route “tends to be the slowest and least cost effective,” there is scope for more specific, data-driven information to be processed in order to keep clear checks and tracks of possible hurdles. Also, with the emergence of more technological tools such as GPS-enabled devices, scanners, and sensors embedded within products through the Internet of Things (IoT), the entire supply chain route can be directly viewed and monitored. In what is known as the “black box” of delivery data, providers can now keep track of delivery data including the earlier inaccessible “off-vehicle” data. The ability to understand and analyse large volumes of data and information can lead to the better management of deliveries. It can also help create not just better customer service but also incentive employees through appropriate training, skill development, and help to create real value across the entire supply chain. Additionally, some of the significant steps being used through Big Data and Analytics surround analyzing weather patterns. Here, the earlier unpredictability of disruptions due to freak climatic conditions could severely hamper large parts of the supply chain. However, with more improvements through data monitoring and tracking devices being used in real-time, such occurrences can be reduced. Further, other possible areas of concern such as heavy traffic and a lack of parking availability can be detected early. Though most 3PLs already use highly sophisticated apps, analyzing live updates of roadblocks, jams, and accidents can ease pressure on drivers when trying to ensure on-time delivery. Within CBDs, commercial real estate spaces or busy, high-density areas in big cities, parking is always a major concern. Through various devices and a constant stream of visible data and analytics, valuable time and costs can be saved. In some cases, delivery agents may well be advised to park further and walk or even possibly use alternative routes to avoid delay-prone zones. Such data can be paramount when ensuring the smooth delivery of goods. Of course, all of this can only lead to increased on-time deliveries and heighten customer satisfaction, especially given the cut-throat competition within the industry. For transportation over both air and sea such remedies serve an even greater purpose. Loading and unloading at ports or airports, time and costs per delivery, and assessing the best routes can make a huge difference to freight charges. By analyzing data patterns and using a concise dashboard, 3PLs managers can examine and understand the situation on the field and seamlessly report back to the on-ground team. One of the hurdles regarding analysis is the vast amount of data that is present. This, unsurprisingly, can be overwhelming and can easily lead to aversions to its use. There is also the obstacle of costs involved as with current, wafer-thin margins, 3PL providers are reluctant to invest in large data centers and data science resources. Here, though understandable, there must be a clear path created to advise and guide appropriate players when mining and analyzing data. This is usually best undertaken in a phased manner with a clear focus on a particular area of the business. This could be within a warehouse, along a supply route, or within the last mile. Further, collaborating with the right data partner is imperative. 3PL providers need to research and understand the capabilities and limitations of both the data and associated companies. With competition being greater than ever and customers being less loyal and more demanding and fickle, 3PL players need to continuously strive to stay ahead of the curve. Here, Big Data and Analytics can play a valuable part in helping providers gain a competitive advantage. However, though Big Data and Analytics are here to stay and their value cannot be understated, it still remains to be seen how 3PLs cope and use the tools at their disposal. As with many other new ‘disruptive’ technologies and tools each business needs to find its own “sweet spot” from which to ascertain its own unique requirements to produce benefits for the business.